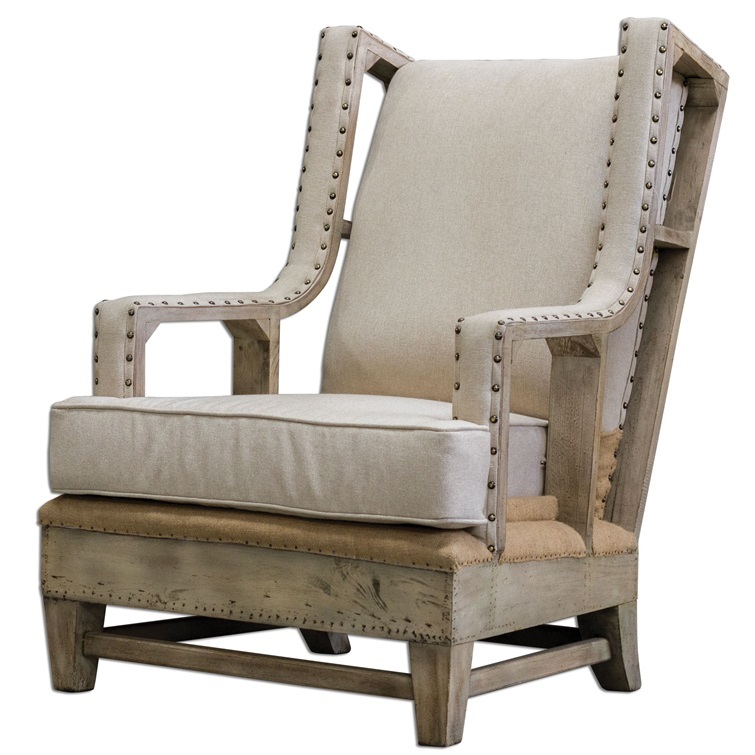 Description Mahogany chair, neutral linen. 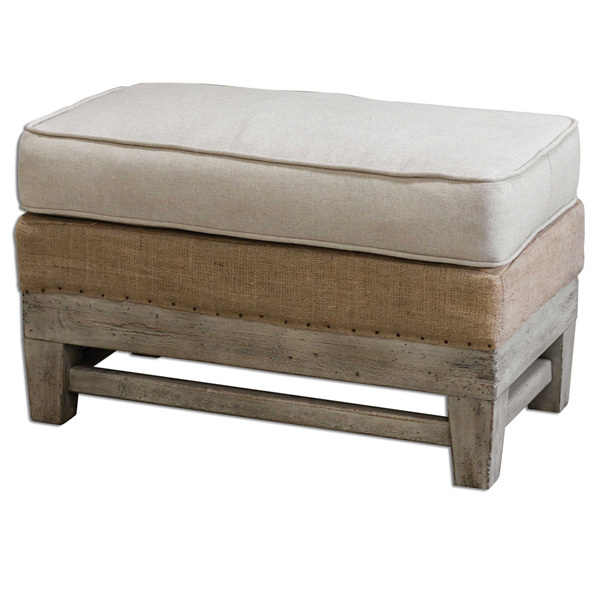 Brass accent, upholsterer's tacks edge tan burlap deck against a white frame. Seat height 20". Arm height 25". Ottoman is #23616.